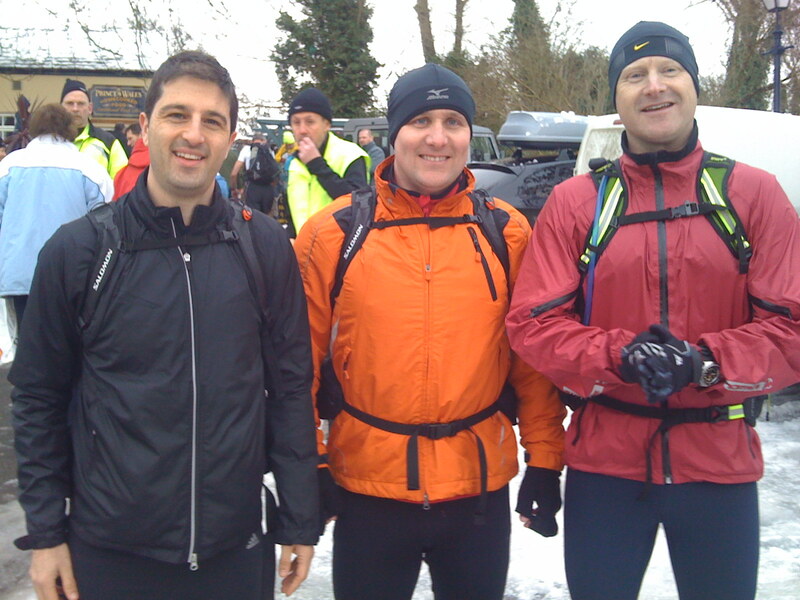 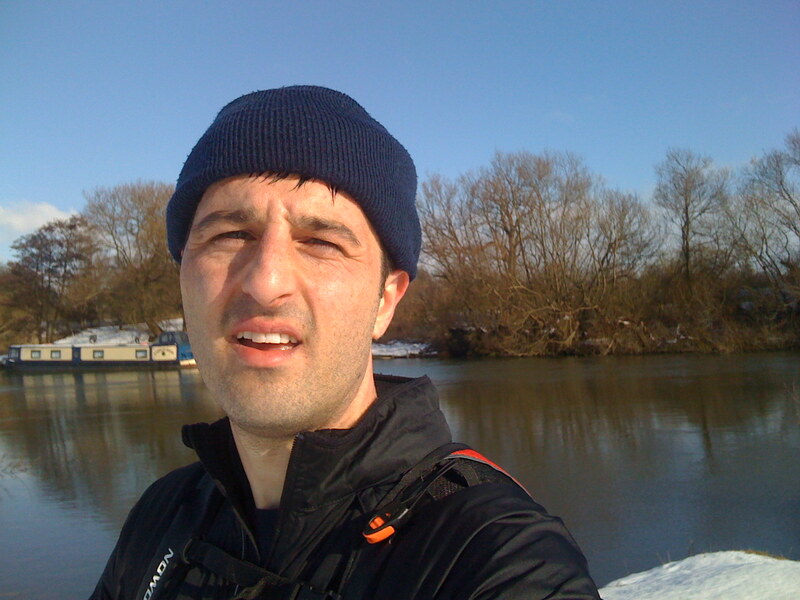 Paul Ali, Paul Stout and Shane Benzie took part in the Thames Trot a 50 mile ultra marathon from Oxford to Henley. 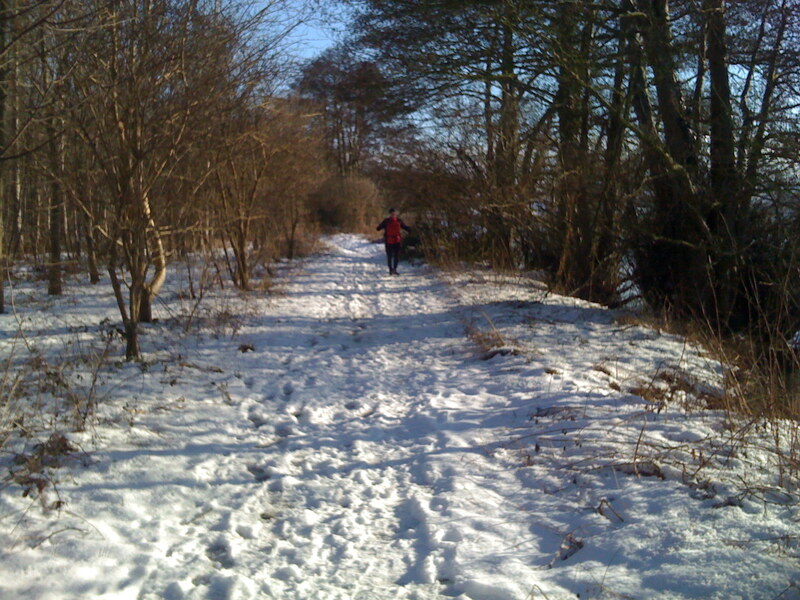 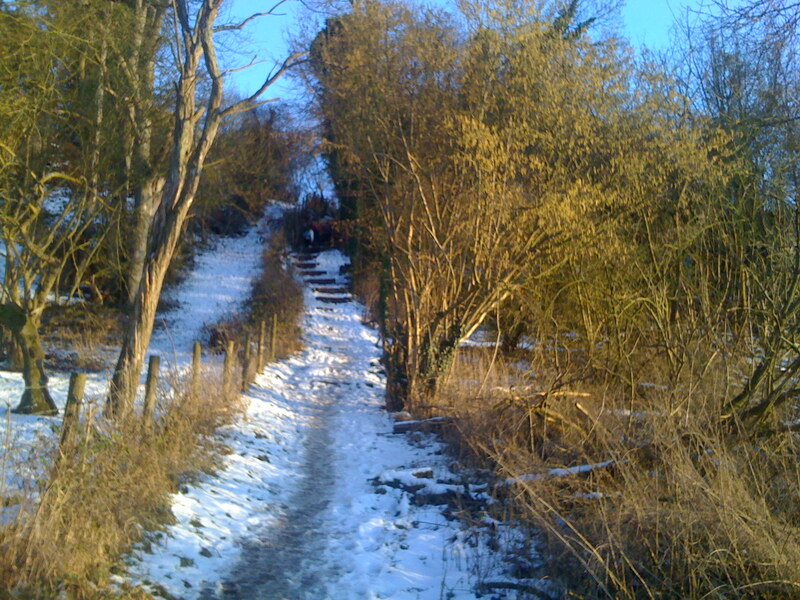 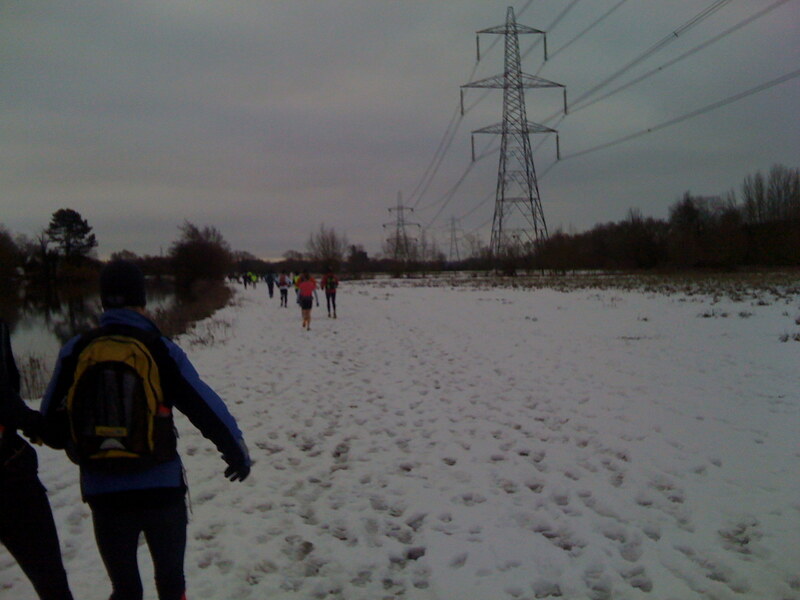 Conditions on the run were very difficult with some treachorous icy pathways, fields of snow and muddy conditions making progress very slow. 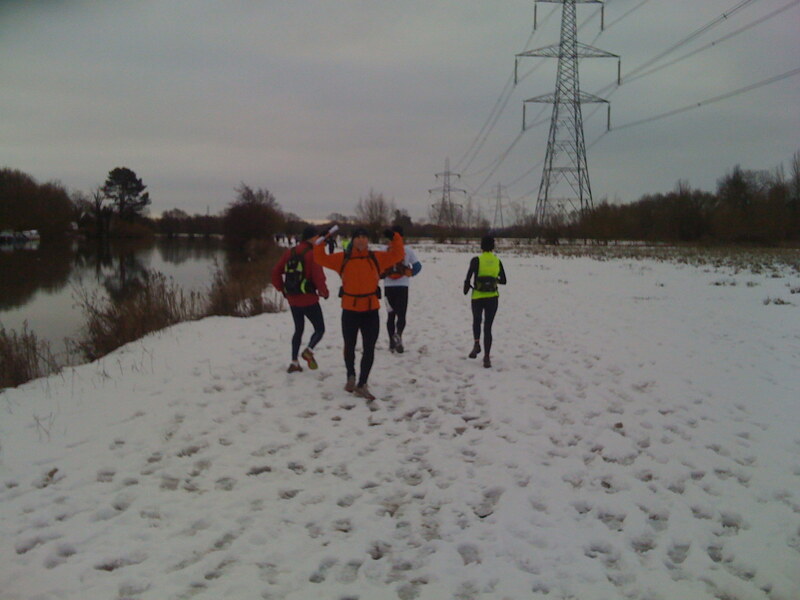 In addition, both Pauls had only just completed their first Ultra Marathaon 3 weeks earlier and to be honest had not recovered from that event at the time of this race. 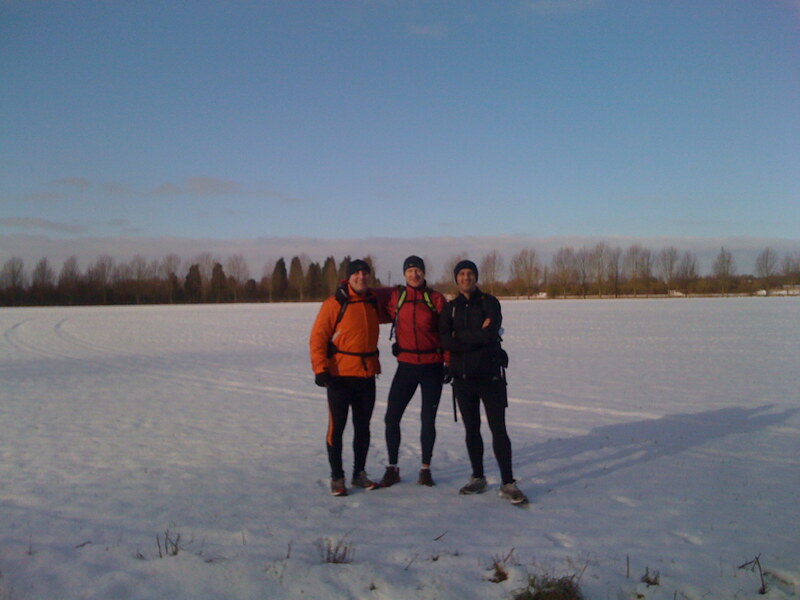 Unfortunately Stouty pulled up after about 27 miles with a recurrence of his back injury was forced to retire but Paul and Shane continued on separately. 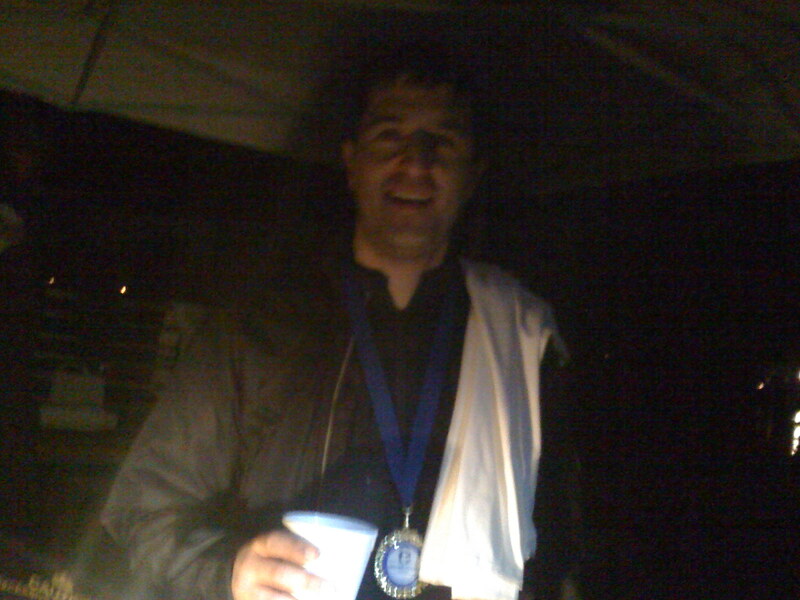 The last couple of legs were completed in complete darkness and Paul arrived at the finish in just over 12 hours and Shane followed him home about 20 minutes later. 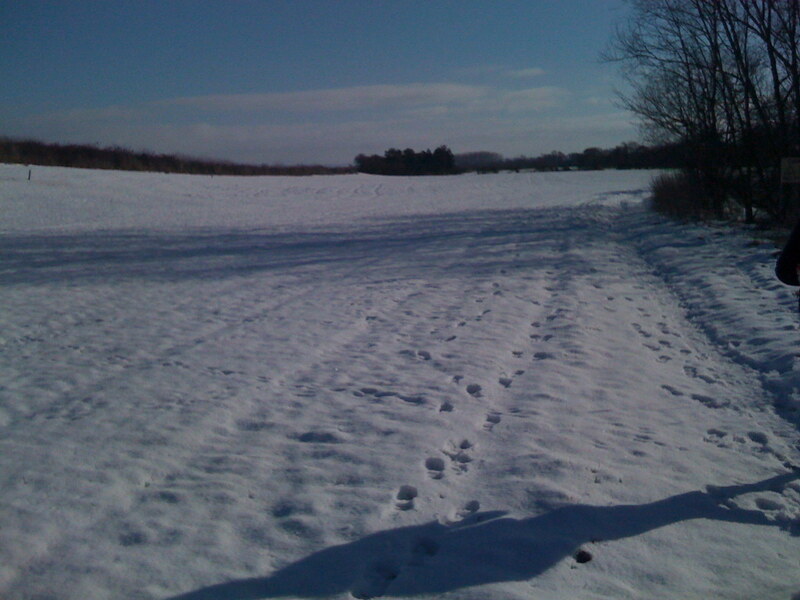 More photos from the event are shown below.